The test kitchen team spent more than a year rebuilding our classic landmark family cookbook from the ground up, continuing its quest to create the absolute best versions of recipes everyone counts on. The America’s Test Kitchen New Family Cookbook contains more than 1,100 new recipes accompanied by new photography and a brand-new package. The result is a comprehensive but approachable tome that every cook will want in the kitchen, for many years to come. The Package: This new edition is hardcover (rather than ringbound) and features a fresh design with four-color food photography throughout. And at 888 pages, it is even bigger and more comprehensive than the original. 1,100 Foolproof Recipes: New recipes like Weeknight Roast Chicken (which roasts in the oven in a preheated skillet), Slow-Roasted Beef (salting an eye-round roast, searing it, and then roasting it in a very low oven makes this bargain cut tender and juicy), and Foolproof Pie Dough (we replace some of the water with vodka) represent landmark work done during the past 10 years in the test kitchen. New recipes like Kale and Sunflower Seed Pesto are fresher updates of the classics. In the mix are more recipes using grains (everything from farro to quinoa), as well as vegetarian entrées. 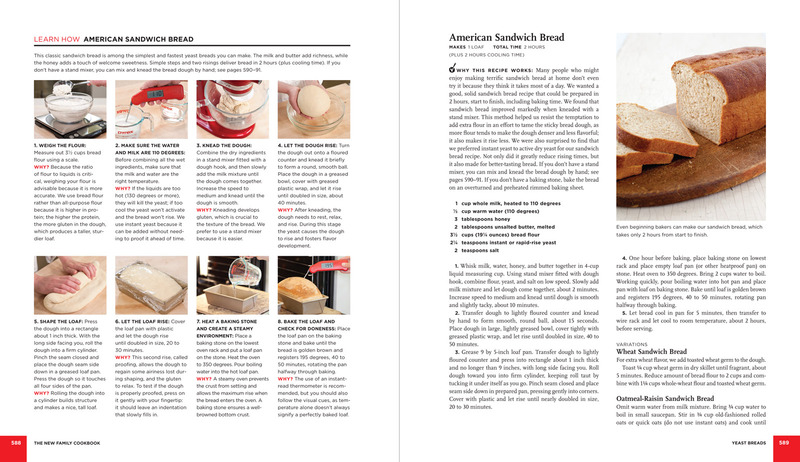 Learn How Tutorials: Throughout the book are 60 illustrated tutorials for core recipes and techniques that the test kitchen thinks everyone should master—things like making a pan sauce, carving a chicken, making a classic quiche or pot roast, or stir-frying tofu. These step-by-step features will sharpen any cook’s skills and teach the test kitchen’s secrets for making food taste better. The ATK Shopping Guide: This valuable shopping guide (expanded and fully updated) features the test kitchen’s no-nonsense ratings of equipment and ingredients. With this information, anyone can be a smarter consumer whether buying a charcoal grill, a garlic press, chicken broth, or canned tomatoes. More than 1,000 Step-by-Step Photos: Color photos illustrate ingredient prep techniques as well as key steps within recipes. 200 Classic, Foolproof Recipes: These are recipes that we considered too good and too popular to omit—recipes for buttermilk coleslaw, garlic mashed potatoes, simple baked chicken, skillet lasagna, classic Bolognese sauce, and pound cake. 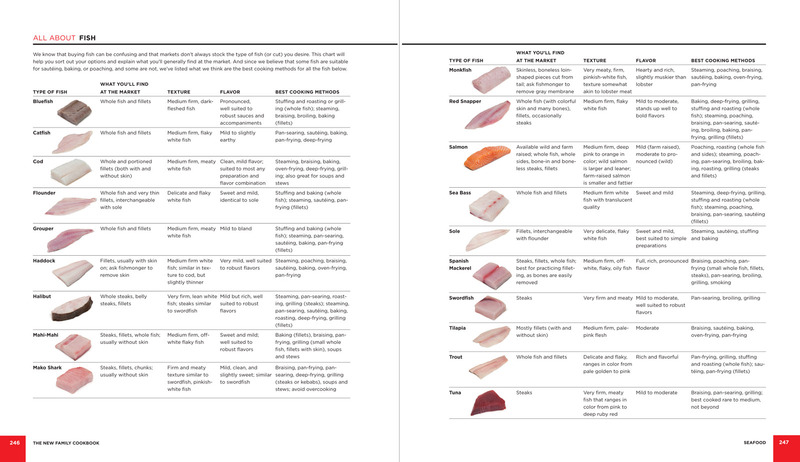 Great Resource Material: Throughout the book All About pages present valuable information, often with cooking charts, including how to cook rice, grains, and beans; how to brine meat and poultry; and how to buy fish. Home cooks will refer to this information again and again. Fast Recipes: Every recipe lists the total time required to make it, and faster recipes (45 minutes or less) are highlighted with an icon. These recipes will work the first time and every time.